Sports game about volleyball. 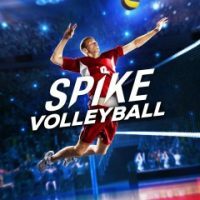 At Spike Volleyball, we have 50 national men's and women's teams in our hands; our task is to lead one of them to victory in a variety of tournaments, including the World Cup. The title allows you to play both alone and in multiplayer mode. A spin-off of the series of fighting games developed by Team Ninja. Only female characters from the main series appear in this game. The mechanics of Dead or Alive: Xtreme 3 are completely different than the ones in the fighting games – it is a compilation of several arcade minigames. Each of these minigames has completely different principles. The player can participate in beach volleyball duels that – despite being based on real rules – are purely action based. Rock climbing requires the player to press (in correct order) the buttons appearing on the screen. Among other available modes there are card game and beach running. As the player proceeds through the game, they unlock new content like costumes for the female characters. In addition to that, the girls can participate in various other activities like dating and taking pictures in Photo Paradise mode. A sport game that plays volleyball matches. The authors made it possible to take control of one of the sixty national teams and then direct it in one of the three basic modes of play: cups, championships and finals. An important feature of this production is that we can take part in both male and female teams. Pro Volleyball 2 is a dynamic sports game, which is a simulation of volleyball games. The players can lead one of the 20 national teams and take part in exciting friendly matches and matches of the World League and the European League. The title was produced by S. Sobolowski development studio in cooperation with professional volleyball players, coaches and arbitrators. Beach volleyball simulator in impeccable three-dimensional visual setting. The game has an official FIVB license, which is why we will find authentic, professional players practicing this sport and will take part in actual competitions and tournaments. A game that is a side project to the Dead or Alive series of brawls. The whole is in fact a set of complex mini-games, in which we visit a tropical island and play the hot heroines from the main cycle. The competition included beach volleyball, swimming pool competitions as well as gambling in the local casino. Volleyball .04 Athens is a multiplayer volleyball simulation designed exclusively for online duels, produced by YES TEN STYLE studio. The creators took care of the high realism of the game, introducing various tactical variants and the possibility of performing various types of games. Visual setting of the game was prepared with the use of motion-capture technology. "Xtreme Beach Volleyball" is an alternative game from the "Dead or Alive" series. It is no longer a three-dimensional fight, but a sports game with many additional elements. 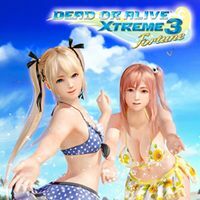 Dead or Alive: Xtreme 2 is a continuation of Dead or Alive Xtreme Beach Volleyball - one of the best items for the first generation Xbox. Talented specialists from the Far East corporation Tecmo dedicated the two exclusively to the successors of Microsoft's device. Incredi Beachvolleyball is a sport game produced by the Italian studio Idoru. Players can try their hand at virtual beach volleyball by directing the actions of 12 women's and men's national teams. The production is distinguished by its comic-style visual setting made with the use of cel-shading technology. A set of four sports items in which the player plays the characters known from Nintendo games. The creators prepared four team disciplines - volleyball, basketball, ice hockey and a popular, especially in primary schools, dodgeball. Beach Volley: Hot Sports is an arcade sports game showing women's beach volleyball. The game offers twelve two-person teams, six different beaches where matches take place and 41 swimsuits where volleyball players can play. In addition to playing in one-person mode, the creators also made it possible to play in the local network. This is a simulation of beach volleyball, in which on 14 well-known pitches we can struggle with many professional players of this sport. Sunshine Beach Volleyball is a sports game, produced by Team6 Game development studio for women's beach volleyball fans. Players have the opportunity to take on the role of sparsely dressed volleyball players, competing on sandy pitches in several picturesque sceneries. Multiplayer mode allows up to four participants to have fun together. A game about sports, offering such disciplines as American football, cricket or football. The common feature of all games is that they are played on the beach. Arcade Volleyball is a simple "arcade game" published in 1987, which takes up the subject of volleyball. The participants take control of two nice creatures, which reflect the ball with the help of the whole body.